Happy April, Aztec Recreation! 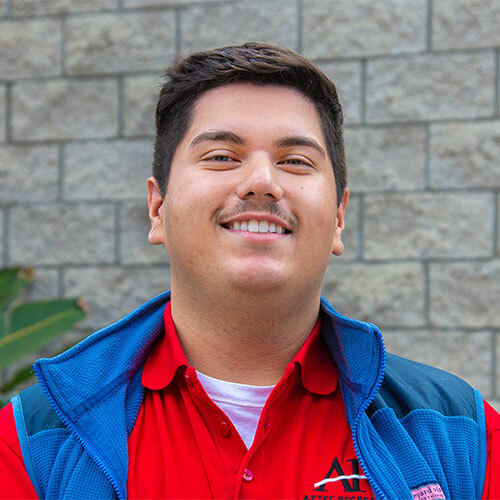 We are excited to introduce our April 2019 employee of the month, Adrien Cortizo! Adrien is a Lead Supervisor in Competitive Sports and has been a key team member since his sophomore year at SDSU. Growing up as a three-sport athlete, sports play a huge role in Adrien’s life. He enjoys that he has been able to pair his passion with his work here at Aztec Recreation. Some of his fondest memories include helping his co-workers, who are also usually former high school athletes, transition into becoming well-rounded officials who enjoy the game. “Nothing gratifies me more than working with people who are passionate about sports the way I am,” says Cortizo. Fond memories for Adrien also include his first year when he was named Aztec Recreation Official of the Year. In his second and third years, Adrien earned opportunities to represent Aztec Recreation as an official at major regional events. Employees like Adrien are what make our programs so great. Thank you for all your time and dedication, Adrien. Congrats!